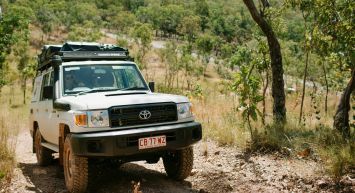 Looking to hire a 4wd in Perth? Britz are Perth’s 4x4 hire specialists and home to one of the largest Britz branches in Australia. We are sure to have whatever vehicle you need for your trip along with great advice on a range of must see or must do activities on your route. 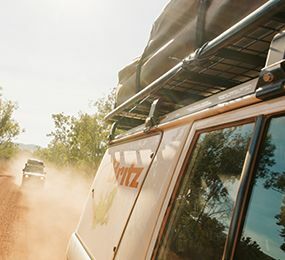 We can help you plan your journey across Western Australia and help you find the right rental vehicle for your route, whether you're looking to explore with the family, take a romantic holiday with a loved one or get off road and explore Perth in a 4WD with some mates. 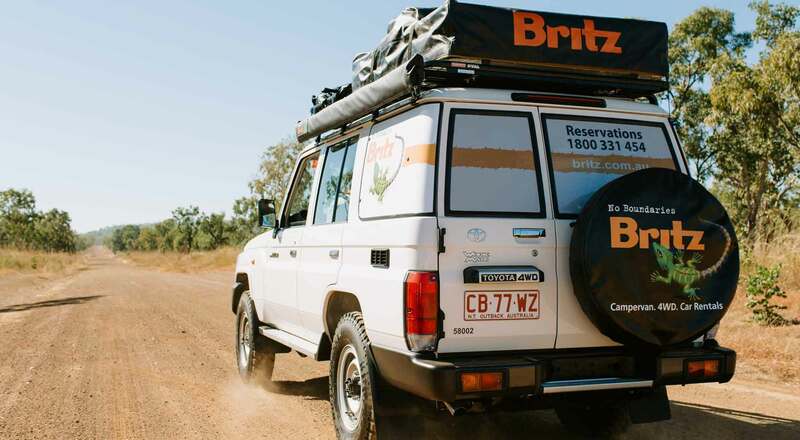 Regardless of your plans, Britz has a range of 4x4 rentals Perth travellers can rely on to get where they need to go in comfort and style. So to grab a reasonably priced 4wd hire in Perth, (or get all the intel on where to go and what to see) talk to the team or book directly online. For those travelling north from Perth, chances are you'll be heading towards Ningaloo Reef. The marine park is a World Heritage-listed site, and once you've been you'll see why. Boasting one of the longest fringing coral reefs in the world, it stretches over 300km from Exmouth to Red Bluff. Take a boat tour and explore the outer edge of the reef which protects a crystal clear lagoon that is rich in marine life. 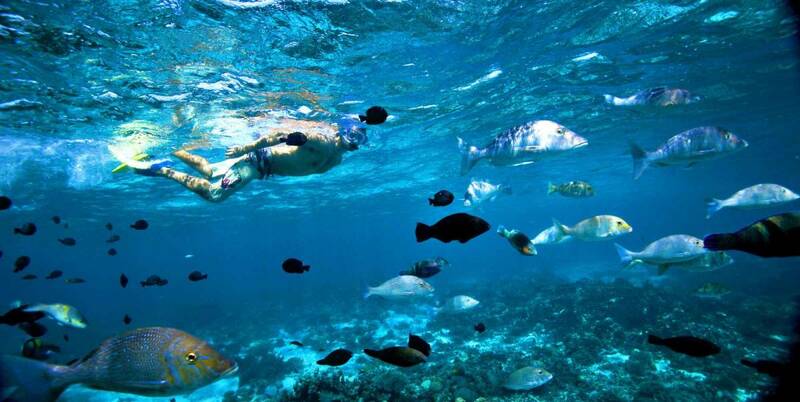 Or for those keen to get a little closer to nature, hire some snorkel gear or join a snorkelling tour to enjoy the area from a different perspective. For the thrillseekers and bucket listers, take the once in a lifetime chance to swim with a whale shark. The first thing you'll think of when you think Kalgoorlie is gold, and you'd be right. The 1892 gold rush was just the start - unlike other gold mining towns which last a handful of years, Kalgoorlie has seen an economy driven by gold ever since. 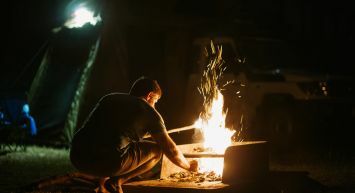 The biggest Outback City with around 30,000 inhabitants, there is plenty to keep yourself entertained whether you choose to stay for a day or a week. Enjoy soaking up some history at the Museum of the Goldfields, prospecting for some golden riches on a fossicking tour, or see the mine up close at Hannan's Tourist Mine. A tiny mining town located on the Goldfields Highway, Menzies is most famous for its array of 51 Anthony Gormley statues that arrived in 2003. Commissioned by the Perth International Arts Festival, Gormley digitally scanned the bodies of local people, before reducing the images by 66%, creating sand moulds of them and finally casting them in stainless steel alloy. The resulting 51 statues were placed on the Lake Ballard saltpan, and really do have to be seen if you're passing through this area. 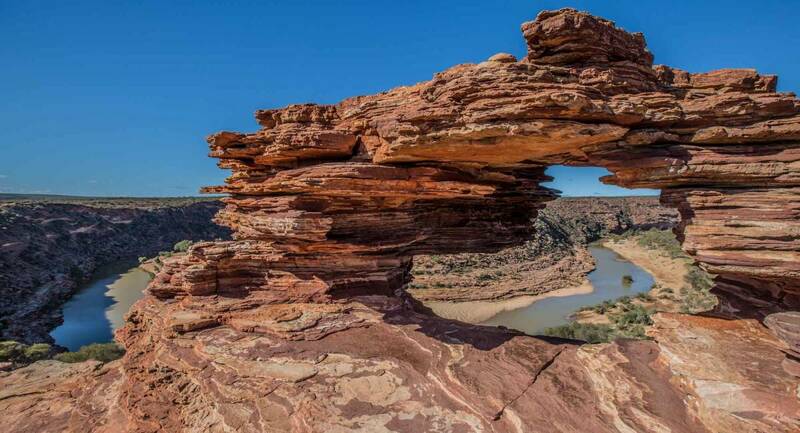 Kalbarri National Park is a must-visit destination for travellers. Ticking all those boxes a national park should - ruggedly handsome, full of wildlife and bustling with flora and fauna. Its sea cliffs, sandstone gorges and river red gums are home to over 200 species of birds as well as emus, kangaroos and many more. Sublime walking trails provide travellers with the opportunity to experience the flora and fauna up close and enjoy the park from one of the many lookouts dotted around the park. Take the time to explore Perth itself and enjoy the sapphire blue oceans, porcelain white sand beaches and charming winery areas only a stone thrown from the CBD. Take a visit to the legendary Rottnest Island and grab a selfie with a cute Quokka, before returning to the mainland and grabbing some lunch at one of Perth's mouthwatering restaurants or cafes. 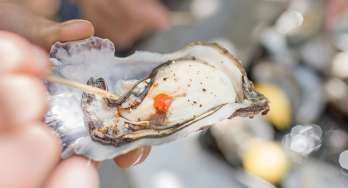 Spend an afternoon exploring by foot on one of the great walking trails in the area, or get out on the water on a tour to meet the marine life. Famed for being the most isolated city in the world (from other cities), Perth is a perfect starting point for adventure. With many small towns and villages dotted around the Perth area, you'll find a lot to explore and take in. 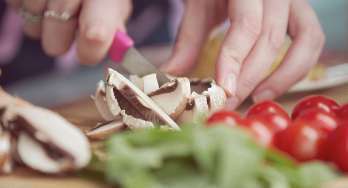 It may feel a little like going back in time, a bit like to when you were a kid again - no worries, just time to explore, only stopping to find food. The drive out to Kalgoorlie on the Gold Quest Trail is a classic one - leading you to one of the largest open-cut goldmines on Earth and the birthplace of the 1892 Gold Rush. 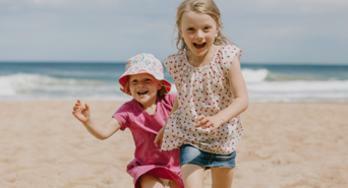 Or head north and explore the Coral Coast and Exmouth on the Wool Wagon Pathway. Following in the tracks of the early pioneers, the journey will take you through spectacular wildflower country, outback desert and vast working stations to the bluest ocean and the most amazing marine life encounters. Britz has a range of 4WD vehicles to suit every adventurer's need. For those after the most rugged and off-road adventure, look no further than the Safari Landcruiser. 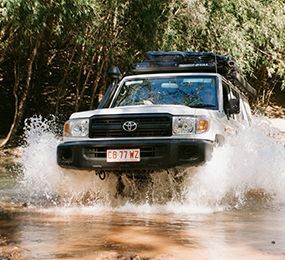 Built on the legendary Toyota Landcruiser chassis, there's a reason you'll see plenty of thee on your trip in WA - they're very versatile. 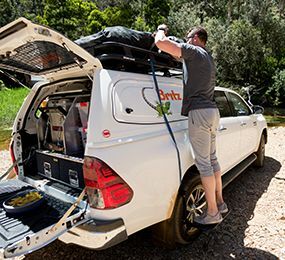 A manual gearbox, rooftop tent, camp kitchen and plentiful storage mean the vehicle is comfortable for 5 people. The Outback is the little brother to the Safari Landcruiser. Built on the Toyota Hilux chassis, it holds its own in the 4WD world, providing the option to get off road and explore or tick off the road miles in comfort. Sleeping 5 in a standalone tent, the Outback provides you with a kitchen and plenty of storage for all your kit. The Scout is the newest 4WD vehicle in the range. Sleeping two inside the vehicle, it provides a great option for those first timers to 4WDing, or equally those who don't like the make the bed (or the tent) in the morning. Again, it provides for all your needs with a kitchen, fridge, sink and bed come lounge area.